Mercedes has announced the official price of the AMG GT R for US buyers who want some of what AMG is cooking. The 2018 AMG GT R coupe will land at Mercedes dealers in the US this summer and the price is set at $157,000. The destination charge and delivery will add another $995. I wouldn’t be surprised if Mercedes dealers tack on their market adjustments. The AMG GT-R Coupe will make 577 hp and 516 lb-ft of torque from its handbuilt AMG 4.0L V8 biturbo engine. All that power goes to the road via an AMG Speedshift DCT 7-speed transmission. The car weighs 3,428 pounds in Euro trim making it far from a lightweight. Despite the weight, the car is good for 0-60mph in 3.5 seconds and a top speed of 198 mph. 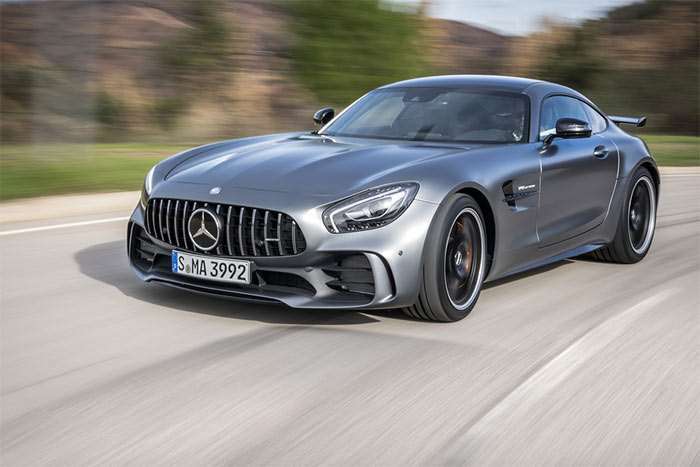 If $157,000 is too much for you, but you want an AMG GT, the base GT Coupe starts at $112,400, the GT S is $132,400, the GT C Edition 50 starts at $145,000.